It was only 2 years ago that we closed on the purchase of our building and now the company is expanding again. The expansion will increase the office space for the creative services department, the warehouse storage capacity for the fulfillment center and provide ample space to build one of the largest video studios in South Florida, adding video production to the company’s resume of services. The expanded space boasts over 20,000 square feet of warehouse storage along with administrative offices, a conference room, a print production area, 2 new video studios, editing labs and an impressive front lobby with lounge and display areas. Construction has already begun on the two new cutting-edge video production studios and editing labs. During the holiday season the creative services department moved into their new offices and fiber optic cable was installed to increase the bandwidth available, allowing for the quick streaming of online videos. Video production experts have excitedly remarked that our new production studios will be the largest between Palm Beach and Miami. The studio will be Mac and PC capable with the latest computer video editing software. We understand that online videos offers companies a unique way to reach out and grab their target audience’s attention by bringing websites to life with a three dimensional look and feel. Video marketing services will provide clients with the opportunity to produce everything from product demonstration videos, training videos and customer service advertisements to testimonials, video blogs and much more. Also, the growing popularity and increasing search volume for videos online adds SEO value and drives valuable traffic to websites. 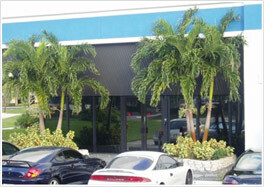 This expansion represents a milestone for us as it continues to grow its services and clientele. As client demands continue to evolve and grow in the future, we aim to continuously evolve its services and company to meet those needs. Contact us today at info@jmfield.com or toll-free 844.523.1957 for more information about our video production service!